10 karat fine solid yellow gold necklace with 1.5 ctw Cubic Zirconium stone. 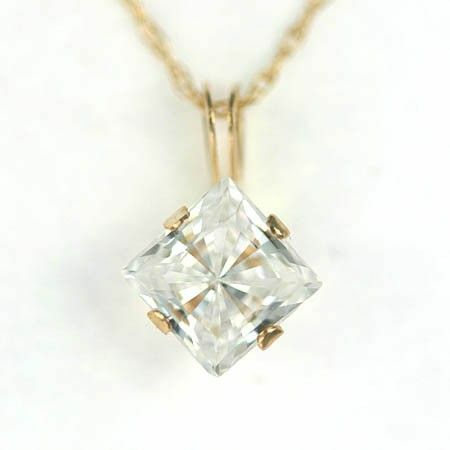 Size: 6mm solitaire Princess Cut. Chain lenght:18 inches "